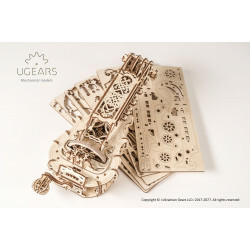 The first musical instrument in the world for self-assembly! 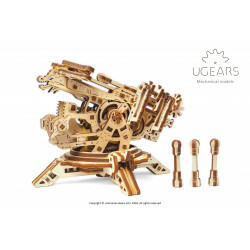 It is the most extraordinary mechanical model kit which is all-in-one: model for self-assembly, toy and fully fledged musical instrument! 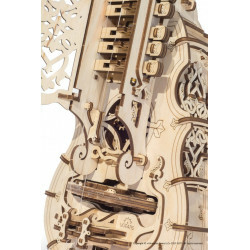 It is a string frictional musical instrument. 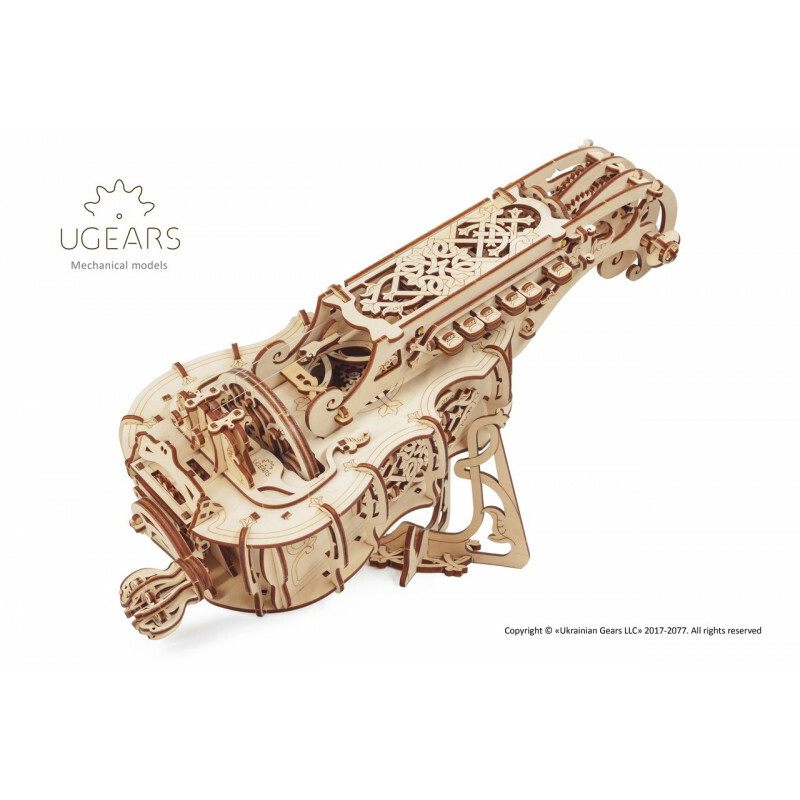 UGears continues to replenish the collection of 3D puzzles, creating a Steampunk mechanical universe. 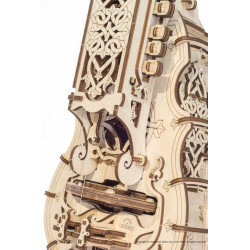 During creating of Hurdy-Gurdy producers were inspired by medieval masters and engineering achievements of the XXI century. 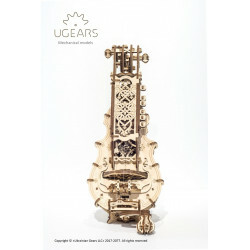 A wooden musical instrument is distinguished by a detailed and refined finish of the case, executed in a romantic style. 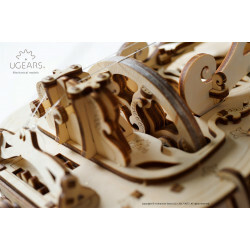 It's not just a beautiful wooden constructor, but a real musical instrument, on which you can play charming lyrical melodies. 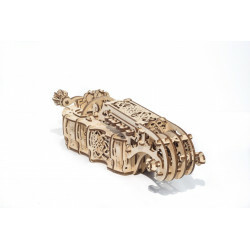 Hurdy-Gurdy embodies the integral symbol of medieval life and the spirit of adventure for everyone who has ever been lucky enough to play on it. 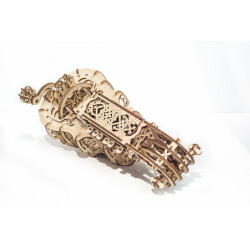 In assembled form Hurdy-Gurdy is more like a small violin because of the smooth lines of the body and the delicate finish. 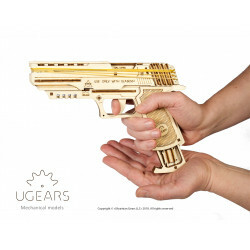 The parts of the kit are made of polywood with a programmable laser machine with an accuracy of 0.01 mm: they are easily squeezed out of the plates and do not leave any burrs. 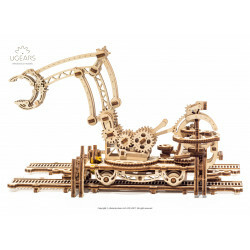 Each assembly stage is described in detail in a colorful illustrated instruction. 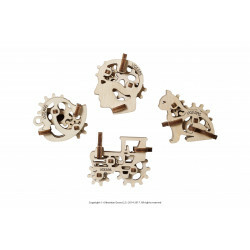 Despite the external complexity, the puzzle is assembled easily without the use of glue, scissors, toothpicks and other tools. 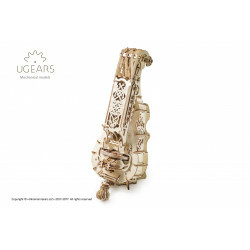 The musical instrument is made in accordance with the original prototype, so the design of the lyre includes the body, front and back covers, gears, winding handle, neck, peg or tuning screw, strings and a keypad that all together form a single instrument. 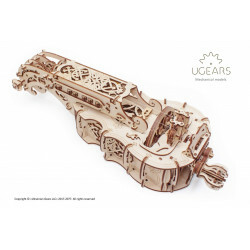 Hurdy-Gurdy model has a unique design that combines technical elements and details that turn playing an instrument into an exciting game and deliver real pleasure. 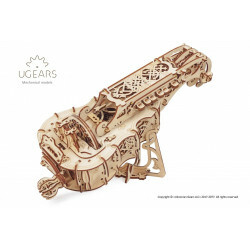 Hurdy-Gurdy from UGears is a full-fledged musical instrument. 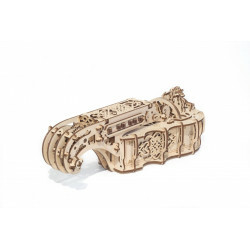 It is easy to play on it: it is enough to turn the knob with one hand, setting the rhythm of the melody, and with the other hand press the keys denoting the notes. 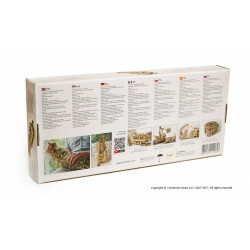 There are even chords in the instruction. 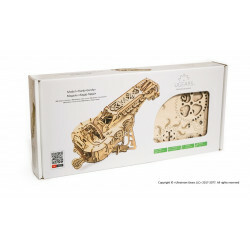 The rotation of the knob brings all the mechanisms into motion and during the game you can observe the rotation of the gears hidden inside the casing. 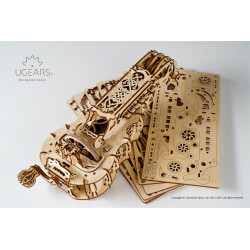 Hurdy-Gurdy from Ugears will give children and adults an unforgettable impression of the time spent together to assemble it. 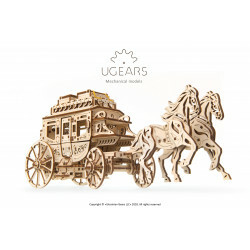 Thanks to the exquisite appearance, executed in a romantic style, and musical possibilities, it will become a bright detail of the interior and brighten up the evenings in the company of relatives and friends.